"We have extraordinary power and a great responsibility." At the Sundance Film Festival last month, veteran documentary editor Mary Lampson (Harlan County, USA, The Bad Kids, A Lion in the House) presented a keynote highlighting the role of an editor and her journey through the ranks of the industry during the Sundance Institute and the Karen Schmeer Film Editing Fellowship’s Art of Editing Reception. Here is a transcript of her moving and insightful speech. The Cove. Courtesy of the Oceanic Preservation Society. In the latest installment of POV's Enter the Edit series, editor Geoffrey Richman tells editor and 2017 Schmeer Fellow Leigh Johnson that "...getting lost is part of the process. It’s a roller coaster of euphoria and frustration, coming up with solutions and then seeing why they don’t work." Geoff (Murderball, Sicko, The Cove) is equally adept at working in fiction as he is in documentary. In this column, he talks about joys and challenges of working in both. Leigh: As both a documentary and narrative editor, you’ve mentioned that narrative films tend to try to be more like documentaries and vice versa. Can you talk about that? Geoff: The first cut of each is when they’re most like what you think of as fiction or documentary. The scripted films feel very scripted, and the documentaries feel very unstructured and informational. And over the course of the edit, I find that you’re pushing them in the opposite direction. So the narrative films get to feel less scripted and staged, documentaries get to feel more and more structured and narrative. The first cut on a documentary doesn’t necessarily even feel like a movie. It can take a few rounds of editing before it even gets to the point where it feels like a bad rough cut of a movie. Leigh: The most obvious difference between narrative and documentary editing is that narrative films start with a written screenplay whereas documentaries are “written” through extensive experimentation in the edit. But I imagine there’s an immense amount of experimentation and rewriting in a narrative edit as well. Geoff: Definitely. There are obviously more constraints on a narrative film. But the most fun I’ve had on narratives is when the edit felt similarly open to experimentation as on a documentary. On Peter and Vandy, which was a love story told out of order, the scenes could go in pretty much any order. So there was a lot of trial and error to find the right way through the story. And we could use snippets of scenes from later in the film, or from deleted scenes, at any point to help with the edit. On Sleepwalk With Me, it seemed like a straightforward edit at the start, but we ended up doing lots of fun experimenting. The screenplay was based on Mike Birbiglia’s story that had been previously performed on stage, written, and edited many times, with a lot of the same funny jokes. But when we presented rough cuts of the film version to people, they weren’t laughing. It took a little while to figure this out, but the story is kind of tragic, his sleepwalking problem, his relationship problem. The difference when Mike would tell the story on stage or on the radio is that you understood inherently that he’s telling you a story that happened in the past and he’s okay now, so it’s okay to laugh about it. You know how comedy is tragedy plus time? The film lost the time element. It was really interesting and totally surprising. So we experimented with different ways for Mike to talk to camera, from the future, and him driving in his car talking to camera ended up becoming the throughline of the film, placing the rest of the story in the past. The early cuts were also missing a lot of his performance material, so Mike shot a bunch of actual performances at different comedy clubs, plus b-roll of him on the road, writing notes, that kind of thing. With all these new ingredients in play, which could be used anywhere in the film like on a documentary, it gave us a lot more freedom to experiment with scenes and structure. The task of the documentary editor can sound like folklore, even to someone who takes it on. There is very rarely any script, and with digital cameras, often a mountain of footage. Editors retreat to dark rooms, alone with whirring hard drives, hoping to be responsive to the material, to collaborate, sometimes to clash, to daydream and to creatively play until there is something to show for it. It is because the process is always unique that it remains so mysterious and strange to talk about with much specificity. Nonetheless, there are few treasured opportunities that give documentary editors the chance to gather and share experiences and perspectives on the process. On Saturday April 1, the Sundance Documentary Film Program and the Karen Schmeer Film Editing Fellowship hosted the third annual Contemplating the Cut series. I was fortunate to attend the event, which is described as a candid conversation exploring the art and craft of editing nonfiction features. For many of us, it’s an incredibly insightful experience to learn from our peers. Equally as important, it is a necessary reminder that we are not alone in the artistic undertaking. Often times, while I am editing a film, I will utilize old fashioned sticky notes posted along the edges of my computer monitors. The notes function as little reminders about some aspect of the project I am working on at the time. They might urge me to work with material a certain way (e.g. “Consider the Interviews as Behavior!”), organize my understanding of subject in the film in a particular fashion (“Don’t Get Bogged Down in the Science Explanations!”), or even remind me of what I believe to be the essential foundation of the film that I am excavating (“It is about his loss of innocence!”). We’re kicking off the second edition of Enter the Edit, a series exploring the regrettably underappreciated process and craft of documentary editors. Our (new!) guide will be 2016 Karen Schmeer Film Editing Fellow Eileen Meyer. We spoke with Meyer just before she was announced as the 2016 fellow at this year’s SXSW Film Festival in Austin, Texas. Eileen Meyer: My first step is organization. This entails watching all the footage, making notes, and coming up with a strategy for breaking down the material. I like to spend as much time watching and organizing as possible before I make a single cut so that once I start putting things together, I can really get into a flow. I want to know where everything is and how to find it quickly so that the technical process doesn’t interfere as much with the creative process. Every project calls for it’s own organizational system, whether it’s mostly dailies, interviews, archival or a combination of many elements. I find that breaking down the project is the first step in creating the potential structure of the film, because you start to see where your characters, themes or ideas insect and overlap. You can start to see scenes that will work and others that won’t, and what the film is lacking visually or emotionally. Once I’ve got everything organized by subject and I’m starting to group ideas together, the massive amount of material starts to look a little less overwhelming. As I’m watching, I’ll make note of the best moments. I have learned that it’s incredibly important to take those notes the very first time you watch the footage because you’ll never get the chance to see the it again for the first time. It’s your only opportunity to truly be in the audience’s shoes. The moments that have energy, make you laugh, or endear you to a character are best on a first impression – you can build the information later and around those special moments. Colin Nusbaum: Stephanie [Wang-Breal] and the crew had been filming with Hannah’s story in New York for a good two years before I even really started [editing]. So it was nice for me to have the opportunity to be on the film while they were still doing some of the shooting with Patrick in Seattle. I don’t know if you’ve had that experience, Mary — for me it was really great to be able to have some input into what’s important as far as what they were shooting and how they were doing it. Mary Manhardt: Generally, because I do tend to come in late on films, I don’t get that experience. Because I come in late, it tends to be that we’re filling in gaps. But it’s really interesting that you say that — did you feel like it was helpful for you, having looked at the Hannah part, which had been shot much earlier? Did that give you thoughts and opinions on how they should shoot Patrick’s part? Colin Nusbaum: When we were shooting the Seattle story, we sort of knew those more crucial turning points or larger scenes in [Hannah's] story, so I was definitely looking out for those and what they might be in Patrick’s story. There were conversations about what were the most important things to shoot. I think in the end we had so much less footage in Seattle because we knew some of those signs. We knew what some of the more important moments might be, and we were able to be more audacious. COLIN INTERVIEWS NIELS PAGH ANDERSEN, EDITOR OF "THE ACT OF KILLING"
Colin Nusbaum: The Act of Killing looks at evil so closely. Looking at a character like Anwar, your main subject of the film, as the face of that evil, I am curious how you dealt with the needs of the audience, and their willingness to watch a person who is the embodiment of that. 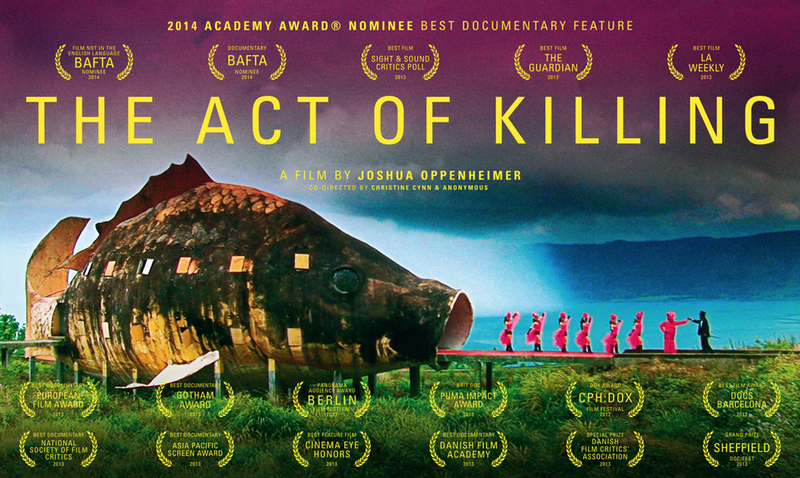 Niels Pagh Andersen: Before I came on, Joshua [Oppenheimer, director of The Act of Killing] was sitting in London for almost a year with two junior editors, so I got around 35 hours of edited scenes, but without structure, and we had to recut the scenes. That’s where we built Anwar as the main character. We were re-editing the scenes from his point of view. It wasn’t just what everyone was doing, it was how does that affect Anwar. COLIN BLOGS ABOUT "HOW TO SURVIVE AS AN ASSISTANT EDITOR"
What are the responsibilities of an assistant editor? Do they vary from job to job, or are they very well defined? Each film is going to be very different. I’ve rarely ever replicated the exact process as an assistant, but always took it upon myself to carefully consider what might work best given the technicalities and goals for each film. Naturally, that also meant that if an editor was already set to work on the film that I would check in with him or her about organizational preferences. I think I inherited a skepticism and penchant for realism from my father. He liked to watch sports games, and when I was little, I liked to watch them with him. We were not deterred that our favorite teams from Detroit didn’t win very often because the journey of a game was enough entertainment. We would watch movies together too—mostly Hollywood hits or whatever reruns were on cable. At the time though, the fiction movies I saw didn’t do much to convince me that the actors playing roles were involved in situations that I should really care about or believe in. I had a difficult time investing in characters and stories that I understood to be fantasy, and so the entertainment seemed a bit flat. It wasn’t until much later, just before my graduation from college, that I developed a voracious appetite for documentary films. For me, documentary appeared as a different animal. I found the films to be sincere in their exploration of ideas, people, struggle, truth, memory, and human experience. I recognized the captivating beauty of a well crafted nonfiction story—where the outcomes are unsure but always true, real in their complexity, and challenging the audience to consider life outside the screen in a new context—imbued with the narratives of the film. And so, I began my pursuit of the documentary form from the other side—where the stories are being lived, captured, explored, and ultimately built in the edit room. In my early days, I worked as a production assistant on Liz Garbus’s film Bobby Fischer Against the World, and that was the last film that Karen Schmeer was able to edit. Karen and I never met, but the quality of her work and the spirit of her character are not lost on me as I begin my own career as a documentary editor. Her films were among the ones I watched over and over, as I fell in love with the artistry and the form. The talented editor Mary Manhardt said to me recently that, unlike journalism, delivering information is not what documentary does best. In fact, documentary can offer something that is both more subtle and lasting through the words, actions or simply the look on a person’s face. I understand these as the moments when documentaries become films, cinema, and stories worth telling. This year, I am being given the incredible opportunity to represent the Karen Schmeer Film Editing Fellowship as their sole fellow. I am completely honored and entirely humbled to do it, and I cannot thank everyone who is extending this unique opportunity to me enough. I’m especially grateful to benefit from the mentorship of three stellar editors through the year in Jonathan Oppenheim, David Teague, and Jean Tsien. Most of all, I aim to take full advantage of the many opportunities to learn, grow, and work, as inspired by Karen’s example. Over the past couple weeks, I have heard a lot of poignant stories from friends of Karen. She was clearly an amazing woman. And it strikes me that she may have been an amazing editor not only because of her because of her artistic skill, devotion and intention, but also because of her attentiveness and compassion—her willingness to meet people where they are, and bring the best out, in films and in life. At the same time, on the opposite side of the country, the quaint town of Hollywood was suffering from its own version of social turmoil, as the mighty studio structure, which had long reigned supreme over American cinema for nearly four decades, started to crack. Existing on the heels of the 1960s Revolution(s) and operating amidst the economic recession of the ’70s, classical Hollywood studios and their traditional products never really stood a chance in America’s new era. Consequently, the late ’60s and ’70s marked the emergence of a new wave in cinema history, one in which a breed of young, fresh and relevant filmmakers broke free from the conventional modes of cinematic storytelling and started making movies that were, well, very different than the ones that mass audiences had grown accustomed to. Their films were a little more real, a little grittier, and a lot less comforting. Think: not-Casablanca and more-Taxi Driver (or, Bonnie and Clyde, Butch Cassidy and the Sundance Kid, Easy Rider, A Clockwork Orange, Deliverance, The Godfather, American Graffiti, Badlands,The Exorcist, Lenny, Chinatown, Apocalypse Now …). It should come as no surprise to anyone, therefore, that out of the muck and mire that plagued New York City sprang glorious contributions to this new cinematic renaissance. Of the directors who rose to prominence in the 1970s, many were New Yorkers, including Sidney Lumet, Martin Scorsese, Woody Allen, Arthur Penn, Brian De Palma, and Bob Fosse. Not too shabby. And for sure, the individual successes of New York’s directors were due in no small part to the bourgeoning community of cinematographers, sound mixers and editors who were beginning to take root in Manhattan. This specialized community was very talented. It was very small. And most of all, it was centralized. In fact, most every major motion picture that came out of New York at the time passed through one of three physical locations in and around Times Square: the old Studebaker Building at 1600 Broadway, the famed Brill Building at 1619 Broadway, or around the corner at 254 West 54th Street (the same building that housed the famed nightclub Studio 54). 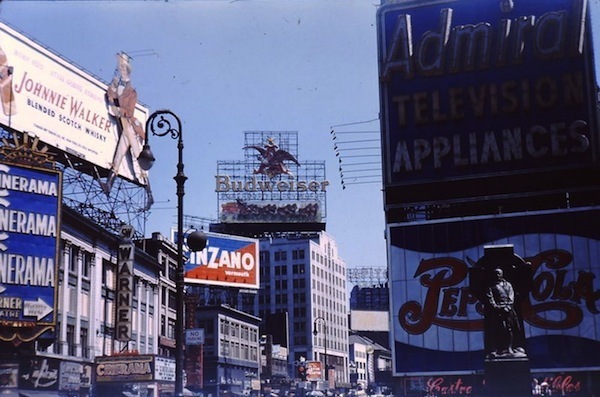 In the 1970s, New York City became a hub of innovative filmmaking. A tiny hub. But a significant one, nonetheless. 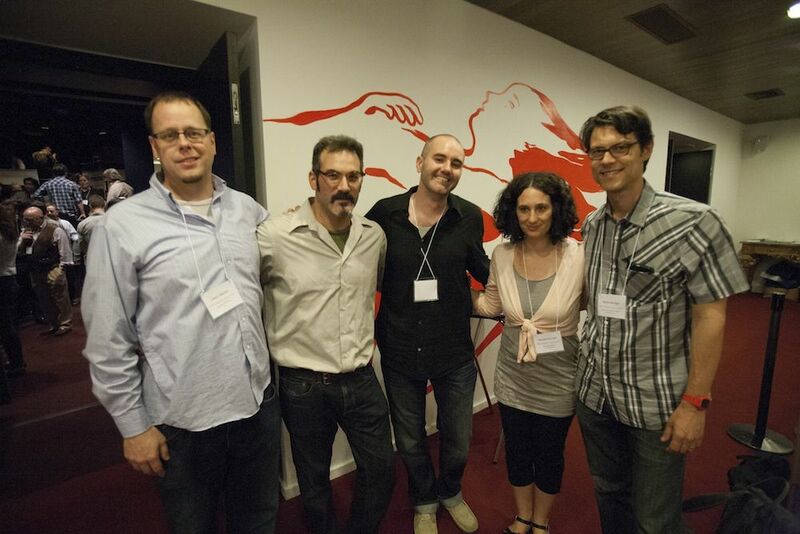 Taking a break from the symposium: Manhattan Edit Workshop's Jason Banke & Josh Apter, Fellow Jim Hession, and KSFEF's Rachel Shuman and Garret Savage. All of this historic backstory brings me to a recent panel discussion that I was lucky enough to attend thanks to the generosity and support of the Manhattan Edit Workshop, which hosted a day-long symposium entitled, "Inside the Cutting Room: Sight, Sound and Story." The event was chock-full of inspiring and insightful seminars, and a fabulous summary of the day’s happenings can be found here. In short, all of it was awesome! I am a relatively young editor who belongs to one of the first generations of film editors that, ironically, has never been contractually obligated to even touch a piece of physical celluloid film. Thanks to computers and the software applications Avid and Final Cut Pro, I have never known what it feels like to actually cut and connect the A-Side of a piece of film to the B-Side of a piece of film while using my God-given fingers (and a razor blade, I suppose). In discussing my own work, I frequently talk about “making cuts,” but in reality, I’ve never actually cut a physical piece of film. Never. Ever. Not once. And so, I struggle to aptly express my genuine euphoria for the opportunity to have heard from the panel’s Editing Greats, all of whom laboriously spliced and cut actual film on the old Moviolas and Flatbed editing machines, collectively creating the very cinematic works that were seminally influential in my own personal love affair with the art of filmmaking. Additionally, as someone who was born on the island of Manhattan in January of 1981, I could not help but feel that these editors somehow represent a period in New York City’s illustrious history that I never had the chance to experience firsthand. As the title of the program states, the esteemed panelists are, indeed, living “NY Legends” who once discovered hope within the borders of a city that didn’t have enough of it. Before going on to edit such classics as The French Connection, Kramer vs. Kramer and Apocalypse Now, Jerry worked as an assistant for the legendary editor Dede Allen (Bonnie and Clyde,Slaughterhouse-Five, Dog Day Afternoon, The Breakfast Club). Here, Jerry reminisces about his first day on the job in Dede’s cutting room at 1600 Broadway. The Studebaker Building has since been torn down and predictably replaced by upscale condominiums. Attention all over-worked, under-utilized assistant editors: no matter what the task, there is always a chance to show off the genius that lurks behind your embarrassing paycheck. In this story, Susan remembers how she first caught the eye of Dede Allen (yes, the same Dede that Jerry worked for) while filling in as a production assistant for a director on a low-budget PBS production that was being cut at 254 West 54th Street. Shortly after the recounted incident, Susan went on to edit Woody Allen’s Manhattan, which was nominated for two Academy Awards. Fair warning: there’s another Dede Allen mention coming up. No wonder that she’s remembered as being such a remarkable editor and wonderful human being! When viewing this clip, it is important to keep in mind that Bill and Jerry went on to become co-editors and fellow collaborators on films such as Scarface and The Untouchables. And again, the two close friends are sitting directly next to each other. CLIP FIVE: ALAN RECALLS A FORMATIVE “MINI-LESSON” THAT HE RECEIVED FROM DIRECTOR AND EDITOR ARAM AVAKIAN WHILE WORKING AS A YOUNG SOUND EFFECTS EDITOR ON SIDNEY LUMET’S THE GROUP. Ok, the following clip demands a decent amount of set-up and explanation. But trust me, it’s worth it. Alan edited a film called, All That Jazz. For his efforts, he was awarded with an Academy Award for Best Editing in 1979. Bob Fosse, who Alan considers to be a dear friend and long-time collaborator, directed the film. The main character of All That Jazz is named Joe Gideon, a troubled theatre director who also doubles as a Hollywood movie director. By all accounts, the character is closely based on the life of the film’s director, Bob Fosse. So far, so good? One more thing: Alan (the editor on the panel) also made a cameo appearance in the film as an actor. He played the role of (you guessed it) a film editor. Enjoy. As I walked home from this remarkable discussion to my apartment located on the west side of midtown Manhattan (mere blocks from the site of so many of the stories that I had just heard), I was most struck by the fact that none of the famed editors on the panel had seemed particularly interested in discussing the practice of actual editing, per se. Certainly, I reckoned, all of them possess profoundly relevant techniques and approaches and theories and philosophies concerning filmmaking’s most unsung craft. They are legends, after all! But what is clear to me is that the things that ended up mattering the most to these long-time film editors have little to do with specific editorial decisions and the thinking behind them; instead, these four masters are much more inclined to recall the personal relationships that they forged over the course of creating their many films while also reflecting upon how their respective professional endeavors ended up enriching their own personal lives. In other words, it’s not about the specific edits. It’s about the environment in which the edits stemmed from. And what they collectively resulted in. For me, an ambitious young editor still hoping to prove his worth, these truths are both pertinent and inspiring, because at the end of the day, I try my best to always remember that the opportunity to pursue a line of work that one genuinely loves is a luxury not afforded to most people. Consequently, if I am ever lucky enough to be able to bang out a respectable livelihood in this crazy business, I will forever consider myself to be an extremely fortunate human being. Alan, Jerry, Susan and Bill helped remind of this conviction. And one day, I hope to have a story that is as symbolic and compelling as the one about Jerry discovering his “sign” out the window of Dede Allen’s cutting room. If not? I suppose that I’ll just have to settle for the joy of remembering his tale each time I throw back a glass of Johnnie Walker on the rocks. In the story that plays out in my own mind (and nobody else’s) I am an undercover secret agent whose misunderstood profession sends me to faraway, unfamiliar and often lonely places. Each of my missions has an objective, but the respective paths that lead to their successful completion are riddled with missteps, uncertainty and constant doubt. My job description isn’t always entirely clear to me, so I certainly don’t expect my family and loved-ones to truly understand what it is that I do for a living either. In fact, I embrace the inherent cloudiness of my chosen profession, as I feel that it facilitates a persona of mysteriousness that I would not otherwise possess. After all, being a secret agent is pretty cool even if the secret agent is not. However, in the world that all of us fondly refer to as “reality,” I am a film editor. I live in an apartment building on the far west side of Manhattan with my beautiful wife, Mariela, our remarkable baby girl, Isabella Rose, and my venerable mother-in-law, Rosa. In other words, James Bond I am most definitely not. Like I said, I’m a film editor! 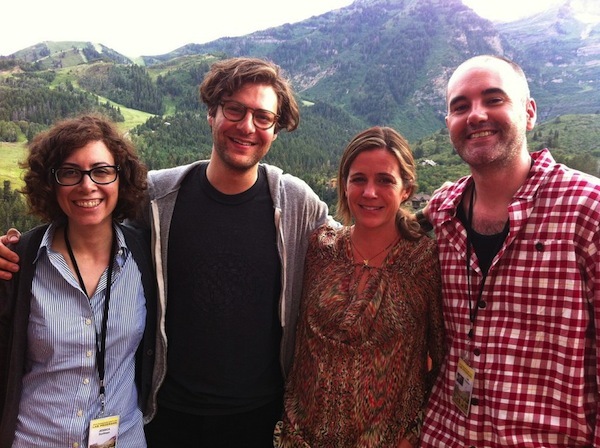 I recently journeyed to the shadowy mountains of Sundance, Utah, where I was fortunate enough to partake in the Sundance Institute’s 2013 Documentary Edit and Story Labs. It was there that co-directors Tracy Droz Tragos and Andrew Droz Palermo brought along me and an unfinished roughcut of their documentary. The objective: to disappear into Robert Redford’s wooded lands for eight long days, workshop the film with some of the most respected and talented minds in the world of non-fiction filmmaking, and return home with a deeper, more evolved understanding of Rich Hill, the film that we are currently working on. Andrew looks on as Jim problem-solves at his work station. This year, The Labs invited a total of nine films and 22 fellows to attend the artists’ retreat, which spanned across two separate weeks. Rich Hill was invited to the second week, along with Yance Ford’s Strong Island, Chai Vasarhelyi’s An African Spring, and Anne de Mare and Kristen Kelly’s The Homestretch. A full list of this year’s films, fellows, and advisors can be found here. Now, just to be clear, much of what goes on up in the mountains is shrouded in sworn secrecy. Nevertheless, I am allowed to note that there was a lot of talk about “edit trailers,” “river beers,” “quiet contemplation,” “mountain hikes,” “spiritual ceremonies,” and “The Owl.” But as a firm believer in the power of “movie magic” (and the protection of it), I wouldn’t dare discuss the specific conversations that revolved around the in-progress films that were brought to the workshop. As it turned out, attending The Lab was sort of a secret mission after all. And yet, I feel obligated to stress that with the help of Director Cara Mertes, Kristin Feeley, John Cardellino and their entire staff, the Sundance Institute’s Documentary Edit and Story Labs have truly gave rise to a collection of programs that, first and foremost, lend needed support to the unique voices of independent filmmakers by way of creating and fostering a community that encourages all of us to struggle, fail, grapple and eventually succeed—together. This group dynamic is special. This group dynamic fuels creativity and encourages artistic risk-taking. And in the age of Skype, blazing-fast laptops, and work-from-home editors, it is increasingly rare. I, for one, am beyond confident that all of the lucky films and fellows that were invited to attend this year’s Labs benefited greatly from the nutritive, communal support that was so generously provided. After all, I was fortunate enough to witness each documentary’s progress first hand. But much more importantly, the resulting films will eventually be sent out into the world for countless audiences around the globe to experience. And like all good stories, each documentary will deliver humanity minute ripples of creative thought that will begin to help us appreciate what it means to be human beings while simultaneously bringing us all a little bit closer to an understanding of each other in the process. The audiences will never know about the discussions that were had up in the mountains of Sundance, Utah. They will never have an understanding of the many creative decisions and re-decisions that were made in the edit room. And frankly, they shouldn’t need to be privy to any of this, because hopefully, the audience will just enjoy the damn movie. That’s the point! And so, as I sit in my apartment in midtown Manhattan, my mind drifts back to my experience in the woods. Most of all, I take great solace in knowing that there is, in fact, a family of like-minded secret agents out there. And it was an honor to have met them. Lab Fellows take a break in the mountains of Sundance.